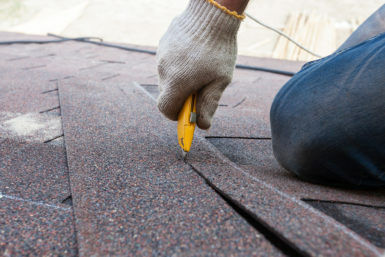 Whether you need repairs or a full replacement, the residential roofing contractors to turn to in the Edwardsville, Illinois area are the experienced pros at Daech & Bauer Roofing. We utilize exceptional products and provide the highest levels of workmanship, which is why we’ve successfully completed more than 10,000 projects and counting. We also have a great deal of experience with insurance claims and can help ensure you receive the compensation you deserve so your roof can be returned to optimal condition following storm damage. Additionally, we back our work with a five-year standard labor warranty, so you can have peace of mind that your investment in your home is protected. Put your home’s roof in the hands of the residential roofing contractors that homeowners in the Edwardsville, IL area rely on – Daech & Bauer Roofing. Contact us today to learn more about the services we provide.